(LOS ANGELES) (April 2, 2018) – Dr. Michele Nealon, President of The Chicago School of Professional Psychology, has selected Dr. Justin Cassity as the new Campus Dean of its Southern California Campuses in Los Angeles, Irvine and San Diego. With a wealth of experience and training in academic leadership, Dr. Cassity will be responsible for the overall quality, performance, and operations of the SoCal Campuses. The Chicago School is one of the leading private, nonprofit institutions devoted to psychology and behavioral health sciences. The institution trains 7% of all psychology graduates in the U.S.
Dr. Cassity joins The Chicago School from California State University, Los Angeles, College of Professional and Global Education, most recently holding the title of Associate Dean and Administrator of its downtown Los Angeles Campus. In this role, he provided strategic planning, program development, and operational leadership for the campus, where he led the college’s student success and enrollment services. 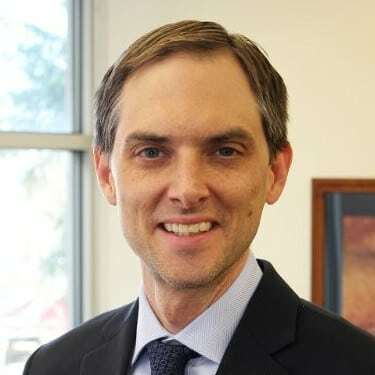 Prior to California State University, Los Angeles, Dr. Cassity served as Assistant Director in the Enrollment Services Graduate Unit for California State University, Long Beach, and as Assistant and Associate Dean of Admissions at Columbia University’s School of Continuing Education. “We are delighted to have Dr. Cassity become a part of our leadership team as we celebrate the 10-year anniversary of our Los Angeles Campus, which has a strong brand presence in the Southern California higher education community,” remarked Dr. Nealon. “I’m excited to join The Chicago School as the leader of one of its largest campuses in the heart of downtown Los Angeles. Our commitment to innovation, service, and community distinguish The Chicago School not only as a dynamic institution of higher education but also as an integral member of the communities we serve. One of the ways we do this is by preparing students who have a passion and a commitment to give back to return to their communities and organizations equipped to make an immediate impact. By integrating theory with hands-on experience via fieldwork, community and international service learning, research projects, and internships, our graduates emerge ready to make positive changes in diverse communities and organizations at a local and global level. With so much great work going on, I look forward to serving alongside our exceptional students, faculty, and staff as we continue to make a difference in Southern California,” said Dr. Cassity. Before receiving his Doctoral Degree in Educational Leadership from UCLA, Dr. Cassity earned a Master of Arts in Teaching English to Speakers of Other Languages (TESOL) from Hunter College in the City University of New York, and a Bachelor of Arts in English from Oklahoma Baptist University. He most recently completed the Management Development Program at the Graduate School of Education at Harvard University, and also served as a Fellow in the Southern California Leadership Network for the Los Angeles Chamber of Commerce. Dr. Cassity is a member of the Southern California Leadership Network, the Association of International Educators (NAFSA), and the University Professional and Continuing Education Association (UPCEA), to name a few.